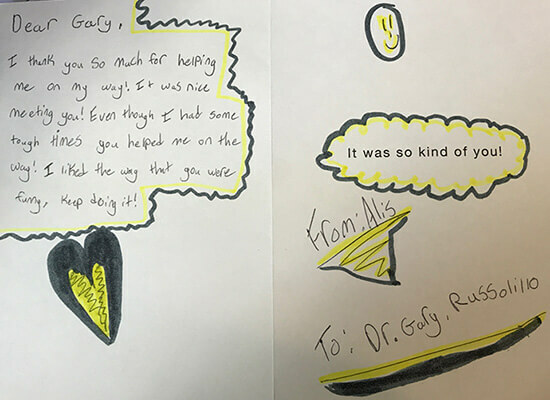 Testimonials - Gary E. Russolillo M.D. Dr. Russolillo performed body contouring and a face lif on me and my results are outstanding! I now feel happier with my image. Thank you so much for keeping me beautiful with your generous resources. At least now I will look good at the club when I eat there!! Thank you very much!! Thank you for many years of trying to make me look better, and I think succeeding (My husband says that my body hasn’t looked this good in 20 years – if ever), and your incredible generosity. What sets Dr. Russolillo apart from all the others is his sincere dedication to his patients combined with an artistic and tireless vision of how he can help you achieve your cosmetic objectives. Thank you so much for taking such good care of Austin and his nose. And in an instant – beginning at your house. I truly appreciate your time and talent! How sweet of you, also, to give me that special facial spa treatment. My skin feels lovely. Thank you again Dr. Russolillo, for everything. There is a distinct sense that your surgery has been absolutely personalized just for you and that he’s as committed to your concerns as you are. There is not a lot of undue favoring on the results as much as objective analysis of a job well done and, perhaps more importantly, attendant to the patient’s own analysis. Thank you for making me feel so good! The Dr. and Team, you are all just great! And special thanks to Martha! I wanted to thank you for your extraordinary care during my visit to your office today. You were gentle, respectful, kind and very generous. I particularly appreciated the unexpected treat of the facial peel. Janet was lovely and skilled and I felt very indulged. It was a most thoughtful gesture. Of course, I’m sorry I didn’t encounter you sooner on my journey in plastic surgery land, but I glad to know such compassionate souls are in the business of helping people feel better about themselves. I had a significant amount of loose skin on and over my knees and in my lower thighs, due to aging and sagging of skin, that I was very self concious about. My plastic surgeon in Gary Russolillo (who did an upper blepharoplasty for me a few years ago which I was very happy with) I continue to see him for Botox and fillers. Dr. Russolillo suggested that I try the ThermiRF on my knees and lower thighs. There was no down time, no scars, no surgery and ThermiRF can be done right in the office. I was a bit nervous but I trust Dr. Russolillo and decided that it sounded like it was my best option. I had the procedure done 2 months ago. There was little to no discomfort during the procedure. I resumed my normal activities within 24 hrs. I wore compression stockings until my two week post-op appointment. The improvement in the knee area was astounding! The areas that were treated still feel firm to the touch. I think my knee area is 85% improved. I even bought myself two pairs of shorts! The procedure was so successful that I am contemplating having my inner thighs treated. I think that ThermiRF would be a great alternative to surgery for a lot of perople. After my positive experience with ThermiRF, I would wholeheartedly recommend this procedure. I think patients will be very pleaseed with the result. When you consider something as serious as invasive elective surgery, you want to feel confident that your doctor and his staff are absolute professionals. But you also want to feel like they are warm, caring people who really do care about you and your results too. Unquestionably, you can find this with Dr. Russolillo and his staff. I would whole-heartedly recommend him to any family member or friend seeking cosmetic surgery. 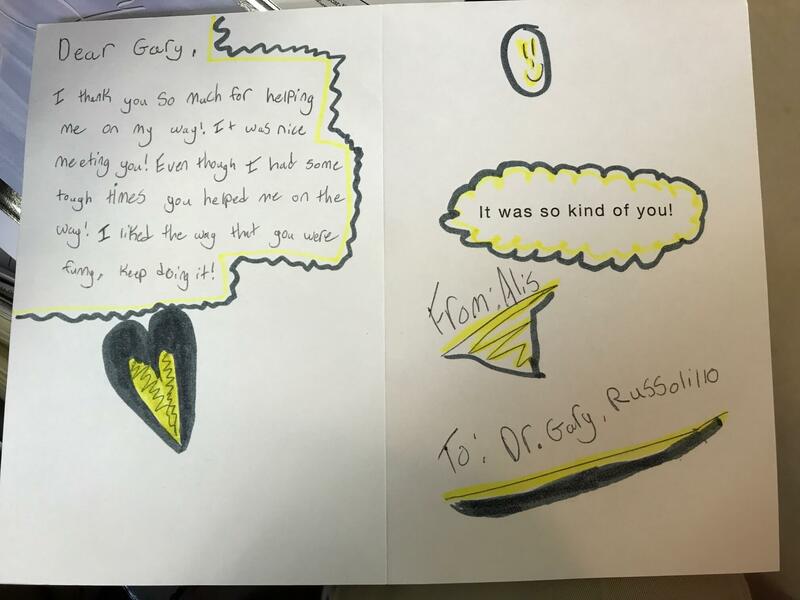 Dr. Russolillo and his staff are simply wonderful. He takes the time to get to know you and really discuss options in a non-threatening and very relaxed environment. He’s always responsive to inquiries throughout the process and his staff went way out of their way to accommodate me… They are truly a sincere and dedicated group of professionals that feel like family friends.